WHY CHOOSE IV SEDATION DENTISTRY? While regularly brushing and flossing are vital to maintaining the health of your teeth, it is equally essential that you make visits to your dentist to ensure your teeth are properly cleaned and examined. However, many people avoid such visits out of fear due to fear and anxiety caused from past experiences. With the advent of IV sedation (intravenous sedation) dentistry, it is now possible to undergo regular or more complex dental procedures and have them largely be free of the pain and even memory of the experience. It is a procedure that allows the dentist to sedate a patient via a blood vein. As such, the medication takes very little time to work but it also allows the dentist to highly customize and adjust the level of sedation to best suit the patient’s needs. That level of customization and adjustment makes it less likely that patients will experience complications and negative side effects from the sedation. Given that the sedative is administered while the patient is conscious and does not force them into a state of unconsciousness, they will retain all their communicative facilities, as well as protective reflexes and ability to breathe. Should you need to communicate with the dentist while sedated, you will be able to do so. What are the risks associated with IV Sedation? 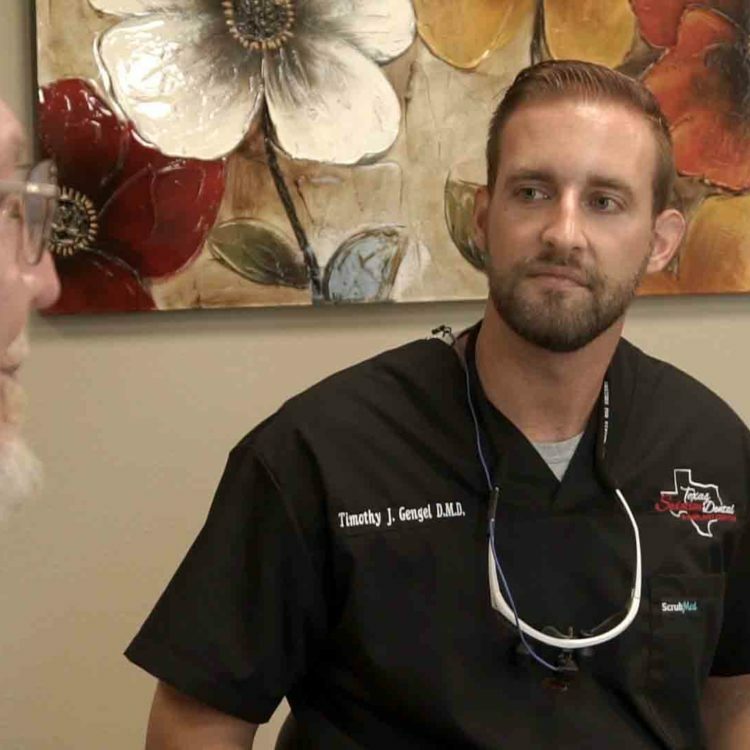 While the procedure sounds like it could involve a significant amount of risk, IV sedation dentistry is extraordinarily safe and effective thanks to the expertise of Dr. Travis Kendall and his staff. IV sedation drugs are administered through the vein, as such this allows the dentist to adjust the amount of sedative the patient receives throughout the procedure. Every patient’s needs are different and thus Dr. Kendall tailors each procedure to best meet the needs who is sitting in the chair, thereby reducing the risk of complications and side effects. Often patients will need minimal sedation while others require more moderate levels. Rarely if ever, however, will a patient require deep sedation. 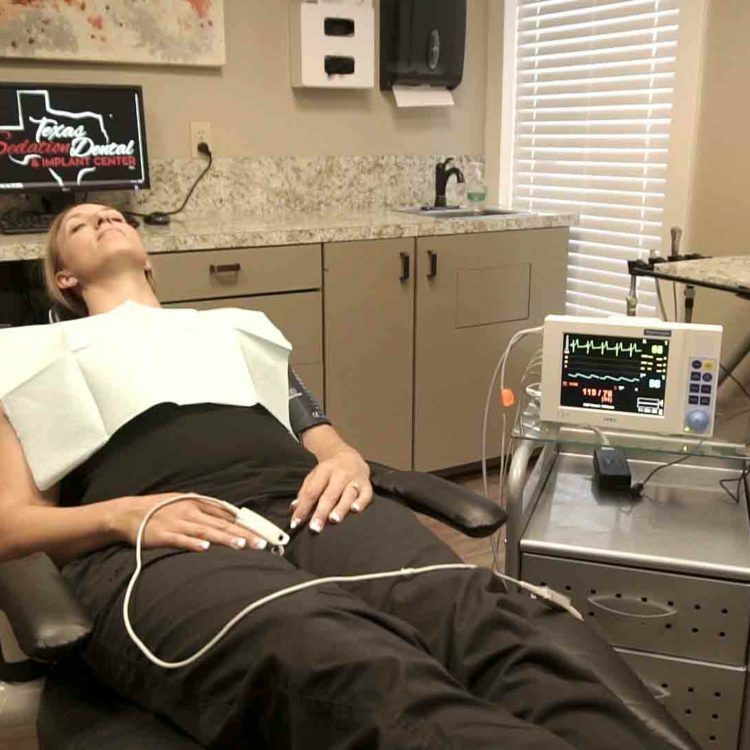 Dr. Kendall and the professionals at Texas Sedation Dental & Implant Center take their ongoing training seriously, ensuring they remain as informed as possible regarding safety and procedure best practices. Dr. Kendall is passionate about education and has completed hundreds of hours of continuing education over the years. Thinking about IV Sedation? Schedule a consultation today! What about the side effects of sedation dentistry? Blurred vision, confusion, dizziness or lightheadedness, sweating, and unusual tiredness or weakness are the most common side effects of nitrous oxide. Other side effects may occur which may subside during treatment while your body adjusts to the medicine. Some side effects rarely occur with nitrous oxide, but may require medical attention. We can help you determine whether or not a side effect is normal. Talk to us about ways to keep from having side effects or how to minimize the effects of nitrous oxide. With Oral Sedation, a pill is taken one day before the procedure. With IV Sedation, you will receive medicine in the dental office during your appointment. The side effects vary according to which medicine you are prescribed. Once a medication is prescribed, you will need to follow the recommendations of the pharmacist and our dental professionals to manage side effects. The cost of sedation dentistry depends on how much sedation is needed so it will vary based on your individual needs. Speak with your insurance provider about your dental plan to confirm coverage and get pre-approval if at all possible. Insurance may cover part or all of the cost if it is medically necessary especially for patients with a medical diagnosis of severe dental phobia. We recommend scheduling a consultation with us so we can propose a dental treatment plan which will include the estimated cost of treatment.